It's not often that I find the need to splurge on makeup brushes because I have found some great affordable options, that I think do the job just fine. If not, better. Among my bargain favorites, are E.L.F. 's Studio makeup brushes. I have accumulated quite a few of them over the years and I have to say, I am almost always blown away by their performance. 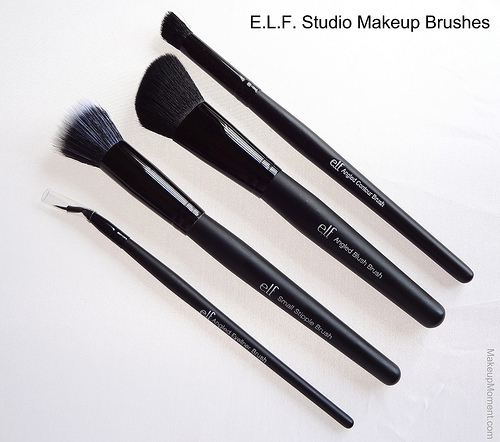 I spotted some new studio brush releases on the E.L.F. website, and I didn't hesitate to order a few that caught my eye. So today, I am going to share with you all my thoughts on my newest E.L.F. Studio brush acquisitions. And just between me and you, these brushes are ones that you definitely don't want to be without. 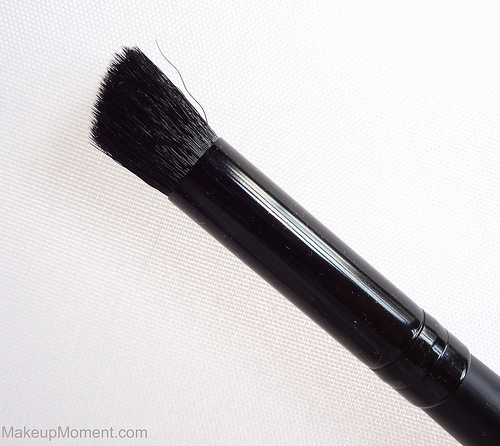 Angled Eyeliner Brush: I absolutely love this eyeliner brush. 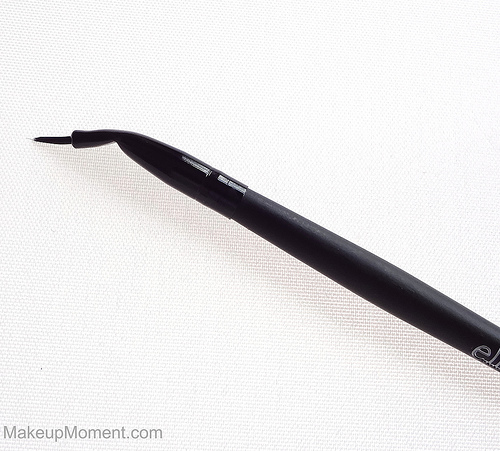 The bent shape, along with the fine tip, helps me achieve a thin and precise line, when I am applying my gel eyeliner. Small Stipple Brush: I am a huge fan of stippling brushes so, I just had to get this one to try out. I like that the brush head is on the smaller side because it allows me to get all over, concentrated coverage-especially, in those hard to reach areas of the face. The super soft brush hairs work amazingly well at blending in my liquid foundation, and giving me a flawless airbrushed result, every time. Angled Blush Brush: This brush is not only great for applying powdered blush, but it's also pretty neat for contouring purposes, as well. I can easily get precise application just where I want, thanks to the smaller, angled shape of the brush head. The hairs are tightly packed into the ferrule and they are really soft, too. This is a daily staple, for sure. Angled Contour Brush: Out of the four brushes that I am showing you all today, I think this is the must-have, stand out item. When I first saw this brush, I honestly was a little weary about how well it would work. The angled brush head is very thick and wide. I certainly didn't have a brush like this in my collection. Initially, I thought this brush was only going to be good for applying eyeshadow colors, on the outer part of the eyes. So, imagine my surprise when I discovered that this is not only a great tool for applying color on the outer corners, but it's awesome for putting color on the lids, crease, inner corners, and brow bone as well! 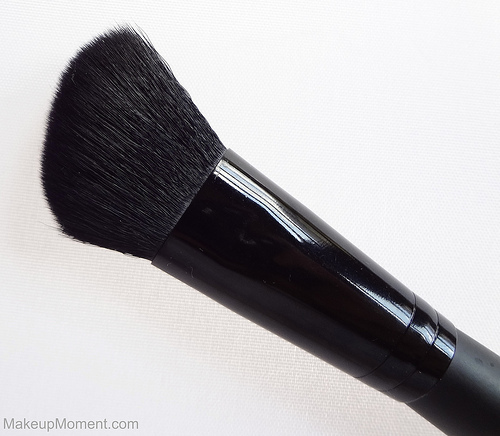 This angled contour brush can do it all! The hairs are soft, and blending with this brush is a dream. I just love it. I have been constantly reaching for this brush since I received it, and I don't see my love affair with this gem ending, anytime soon. These taklon brushes contain synthetic hairs, that are anti-bacterial, which I think is pretty neat. I also want to add that I have cleansed all of the brushes, and I am happy to report that while cleansing, the brush hairs did not experience any shedding, and all the brushes dried exceptionally quick when laid flat to dry overnight. Once dry, the brush hairs still retain their shape and softness. Overall, I am very, very content with all four of these E.L.F. Studio brushes-especially the angled contour brush. I think you all should consider picking up a few- if not, all of these! The quality is there, the low price of $3.00 for each brush is a major bargain, and the performance is out of this world! What more can you ask for? What do you all think of E.L.F. 's Studio brushes? Which are your favorites? I love elf brushes, too! Their $1 eyeshadow brush is seriously the best bargain ever! I really want to get the stipple brush, since I love to stipple on foundation, and I actually only have one stipple brush. 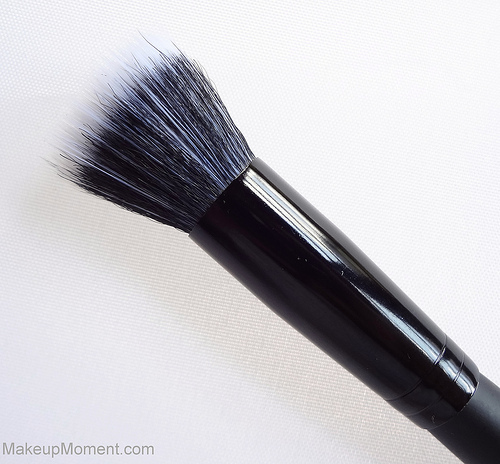 I love the angled blush brush! :) Most of my brushes are from ELF. The brushes look awesome and I'm up for affordable synthetic brushes but these are found easily here!